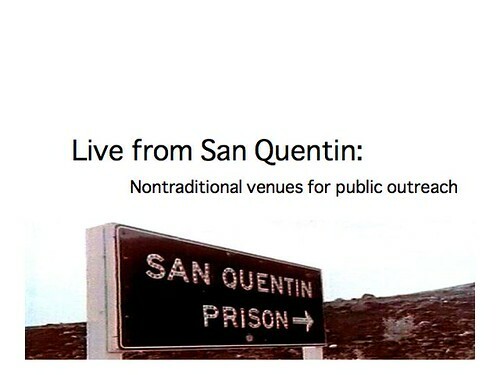 I just finished the semi-mediocre powerpoint presentation that I cooked up for the paper that I co-authored with the four other San Quentin teachers. I don’t really like powerpoints and when I do them I try to do something nontraditional. I just didn’t have time to do much with this one. Tufte be damned, I guess. No, I didn’t come up with the title to the paper. Spring break is next week and everyone is cranky. By everyone I mean me. Stay tuned for more academic make-work!